Our Mission Connecting our communities through free access to youth sports in a fun, structured environment. 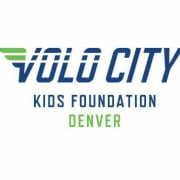 Volo City Kids provides our community with an opportunity to learn, practice and play a variety of sports in a fun but structured environment at no cost to the family. Our program removes barriers to athletic participation such as gender, skill, and financial resources. We emphasize team play through our league play and community building by including volunteers from the surrounding communities and by providing post-game social events for players, parents and volunteers. Connecting our communities through structured sports in a fun and social environment!